With the garden planted and growing, the boys and I have had more time to play in and outside. 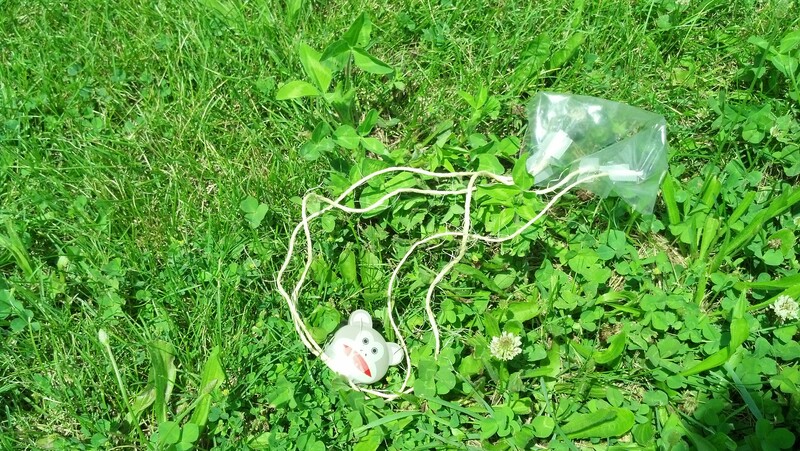 We’ve had a chance to get back to fun activities and experiments and games. 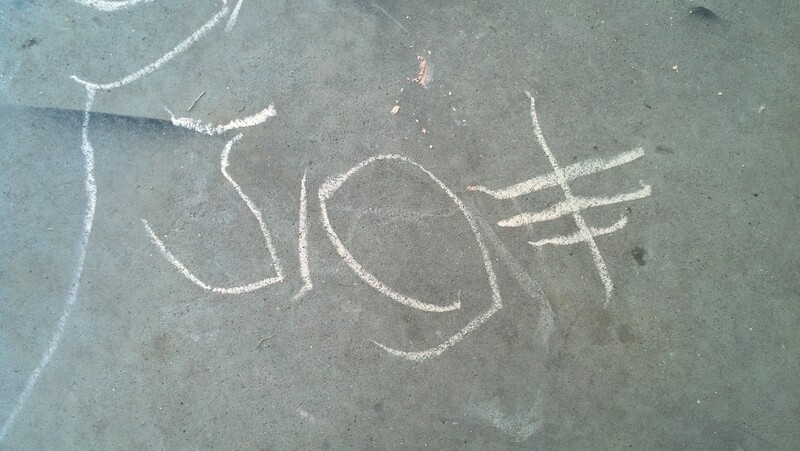 We’ve played with sidewalk chalk, making chalk outlines of each other and drawing letters, numbers and shapes. 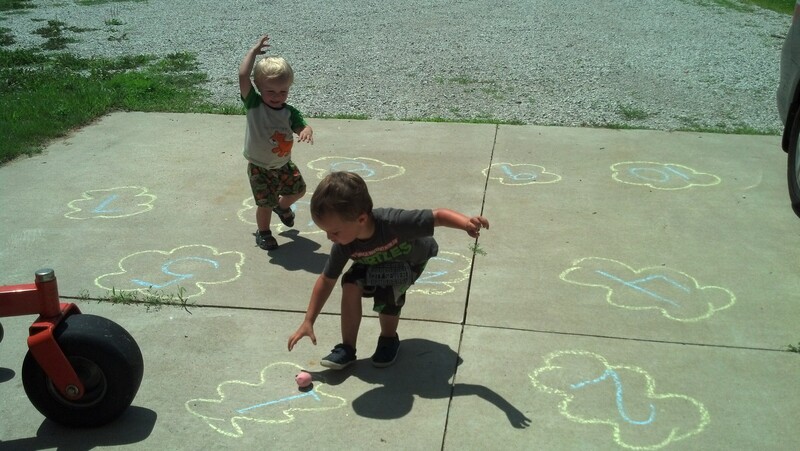 We played “Rocket Ship Blast Off!” I called out numbers and the boys “blasted off” from them. We made a parachute using a sandwich baggie, string and monkey chip clip. 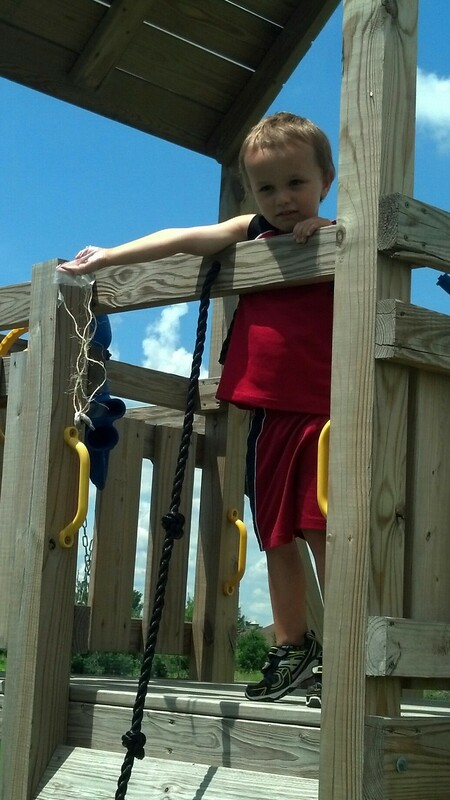 It did not work as well as I thought it would, but it entertained Joe who had fun letting it drop from the playset. I may try it with a coffee filter to see if it works any better. While inside, we play hide and seek, read books, hunt monsters, trace letters and numbers, finger paint and play games like Don’t Break the Ice, Go Fish and The Sneaky Snacky Squirrel. So far, we are having an amazing summer. Joe signed up for the reading program at the local library so we all have fun reading books together about bugs, rockets, gardening and space aliens.